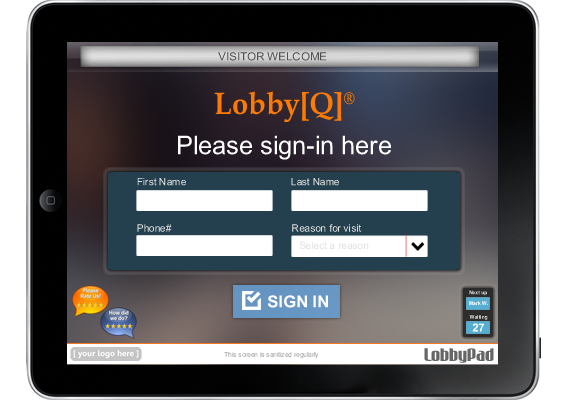 LobbyPad's Lobby[Q]ueue provides a just-in-time queue management system allowing customers to get into a virtual queue by simply walking in and checking in at a kiosk. Once the customer has been added to the queue they can now be comfortably seated in the waiting area rather than standing in line. The customer’s specific need is placed in an electronic queue where it will interface with the virtual dashboard located on the Customer Service Representative’s (CSR) computer. The attendant will then use the real-time Web-Based Dashboard to manage and monitor the queue effectively. Though the primary function of the system is to improve workflow, maximize throughput and provide a better waiting experience for the customers, the system will also accurately gather various performance indicators such as wait time, staff productivity, traffic patterns and other valuable metrics. 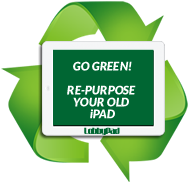 At LobbyPad, we believe in the power of going mobile! A tailor-made, fun, exciting and cost-effective experience for our clients is what we deliver.